tech | Views of an atheist techno-pagan. Yes, I went for the real thing. 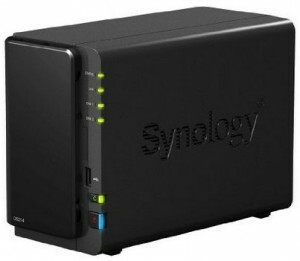 I bought a Synology NAS (model DS 214). It’s a brilliant thing, with a very powerful yet simple management interface called Disk Station Manager (DSM). The unit is very easy to assemble (adding the 2 disks didn’t even require a screwdriver), runs flawlessly and is very quiet. Access goes through a UTP cable to the router and after setting up the volume/shares and privileges it’s immediately recognised by everything on the network. A very nice feature is the CloudStation which turns the NAS into your personal cloud. It works really well. At first I wasn’t set on using it constantly. Why? Enabling that feature cranked the NAS’s CPU up to 100% and also there was constant disk activity, even when no one was accessing the ‘cloud’. I sent a question to Synology’s tech support about that, wondering if this was something abnormal. After about a day it all calmed down, no more disk activity, drives went to sleep after 20 minutes, and everything’s fine in private cloud land. If you consider a NAS, I can recommend Synology. When it comes to storing information, hard drives don’t hold a candle to DNA. Our genetic code packs billions of gigabytes into a single gram. A mere milligram of the molecule could encode the complete text of every book in the Library of Congress and have plenty of room to spare. All of this has been mostly theoretical—until now. In a new study, researchers stored an entire genetics textbook in less than a picogram of DNA—one trillionth of a gram—an advance that could revolutionize our ability to save data. To get around these problems, a team led by George Church, a synthetic biologist at Harvard Medical School in Boston, created a DNA information-archiving system that uses no cells at all. Instead, an inkjet printer embeds short fragments of chemically synthesized DNA onto the surface of a tiny glass chip. To encode a digital file, researchers divide it into tiny blocks of data and convert these data not into the 1s and 0s of typical digital storage media, but rather into DNA’s four-letter alphabet of As, Cs, Gs, and Ts. Each DNA fragment also contains a digital “barcode” that records its location in the original file. Reading the data requires a DNA sequencer and a computer to reassemble all of the fragments in order and convert them back into digital format. 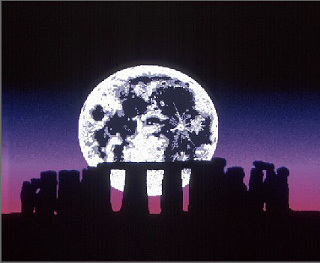 The computer also corrects for errors; each block of data is replicated thousands of times so that any chance glitch can be identified and fixed by comparing it to the other copies. Don’t replace your flash drive with genetic material just yet, however. The cost of the DNA sequencer and other instruments “currently makes this impractical for general use,” says Daniel Gibson, a synthetic biologist at the J. Craig Venter Institute in Rockville, Maryland, “but the field is moving fast and the technology will soon be cheaper, faster, and smaller.” Gibson led the team that created the first completely synthetic genome, which included a “watermark” of extra data encoded into the DNA. The researchers used a three-letter coding system that is less efficient than the Church team’s but has built-in safeguards to prevent living cells from translating the DNA into proteins. “If DNA is going to be used for this purpose, and outside a laboratory setting, then you would want to use DNA sequence that is least likely to be expressed in the environment,” he says. Church disagrees. Unless someone deliberately “subverts” his DNA data-archiving system, he sees little danger. I am an avid Avatar fan. Not the Last Airbender, but the epic film by James Cameron. 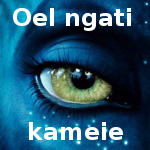 My involvement on the Learn Na’vi forum, learning and teaching the language, as well as owning several copies of the film on DVD and Bluray should attest to that. I also love technology that is put to use in a good way. The combination of that goes into Avatar’s background. The link takes you to an article about the computing power used to render the film. It’s impressive. Thirty four racks comprise the computing core, made of 32 machines each with 40,000 processors and 104 terabytes of memory. Weta systems administrator Paul Gunn said that heat exchange for their servers had to be enclosed. The “industry standard of raised floors and forced-air cooling could not keep up with the constant heat coming off the machines,” said Gunn. “We need to stack the gear closely to get the bandwidth we need and, because the data flows are so great, the storage has to be local.” The solutions was the use of water-cooled racks from Rittal. Gunn also noted that tens of thousands of dollars were saved by fine tuning the temperature by a degree. Weta won an energy excellence award recently for building a smaller footprint that came with a 40 percent lower cooling cost for a data center of its type. For the last month or more of production those 40,000 processors were handling 7 or 8 gigabytes of data per second, running 24 hours a day. A final copy of Avatar equated to 17.28 gigabytes per minute of storage. For a 166 minute movie the rendering coordination was intense. Am I paranoid or is the light spying on me? I was looking for a flash-light application to put on my phone. This one got very good reviews. I did not install it. 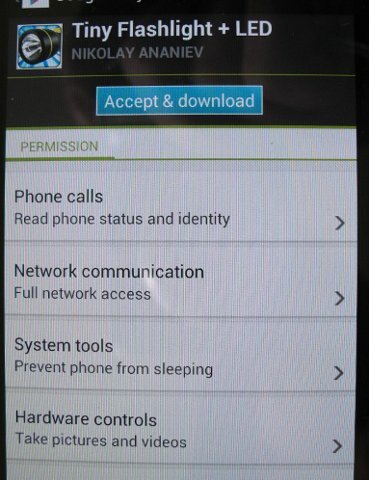 Why would a flash-light application that just manipulates the flash-LED or the screen want to read my phone status and require full network access?